Massdrop offers the Massdrop x Sennheiser HD 6XX Headphones for $199.99. Features: A new revision of the popular all-rounder, the Massdrop x Sennheiser HD 6XX has that same great sound plus a few updates, and a price that makes it even easier to love. More than 65,000 members have picked it up to date. 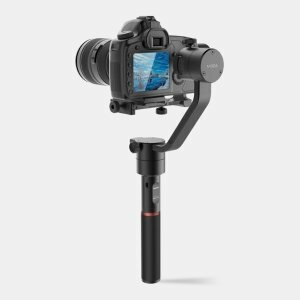 Massdrop offers the Moza Air 3-Axis Motorized Gimbal Stabilizer for $300. Features: Compact and configurable, the MOZA Air 3-Axis Motorized Gimbal Stabilizer can stabilize your mirrorless or DSLR camera for smooth, professional-looking footage. Since the Air can be used in either one or two-handed configurations, supporting setups that approach the 7.1-pound payload capacity won't sacrifice usability. 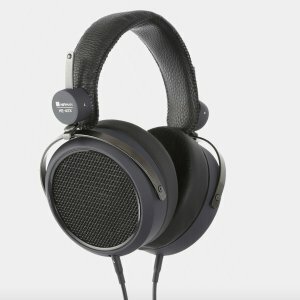 Massdrop offers the Massdrop x AKG K7XX Audiophile Headphones for $159.99. 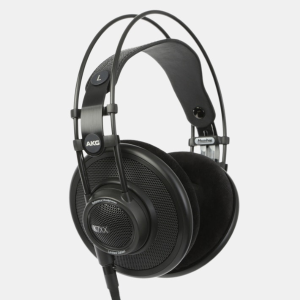 Features: Inspired by the legendary AKG K702 65th-anniversary edition, this rendition features the same dynamic driver technology and superior build quality—plus a few updates in the sound and comfort departments. 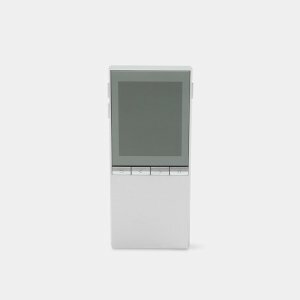 Massdrop offers the HIFIMAN MegaMini Hi-Res Music Player for $49.99. Newegg offers same products for $54.99. Amazon offers same product for $54.99. Features: The aptly named MegaMini performs like a high-end player, but for a fraction of the price and with a longer battery life: 8 to 12 hours on a single charge. At a compact 1.7 by 3.9 inches—and a scant 9 millimeters thick—it makes an ideal companion for the gym, trips, and commutes. It accepts micro-SD cards up to 256 gigabytes, which is enough to build up a massive music library. Massdrop offers the PSB Alpha PS1 Speakers for $134.99. 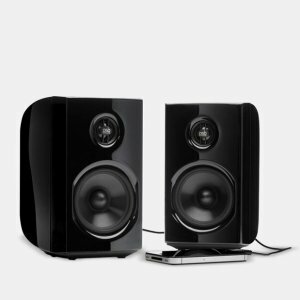 Features: From PSB, a company known for its excellent lineup of speakers and headphones, the Alpha PS1 has won SoundStage Network’s “Product of the Year” and been listed among Home Theater’s “Top Picks.” These affordable powered speakers come in pairs and make a great companion for desk setups, delivering enough power to rock a small- or medium-sized room. 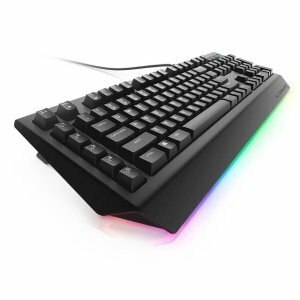 Massdrop offers the Alienware Advanced Gaming Keyboard - AW568 - Alienfx RGB Lighting System - 5 Programmable Macro Key Functions for $29.99. Features: We're all for gaming at home with your Doritos and Code Red, but we can't help but miss the old Video Arcade. The warmth of the quarters, fished from the family couch and heated by the secret pocket in your Roos. The smell of cheap pizza and plastic prizes you had no interest in. The hypnotizing Bings and Bleeps from you favorite games. The big kids crowded around Street Figter II or Dragon's Lair or whatever was hot that summer. the smooth, perfect feel of the joystick under your young palm. 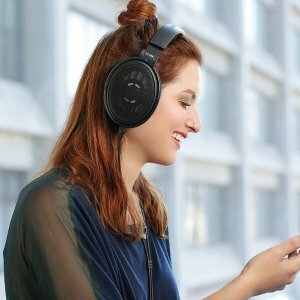 Massdrop offers the Massdrop x HIFIMAN HE4XX Planar Magnetic Headphones for $169.99. Features: The result of founder Dr. Fang’s PhD research at Columbia University, its driver technology has landed the company in TIME, Forbes, and CNET’s “The Audiophiliac,” and won it the CES Editors’ Choice Award. Now, that tech is available at an unheard-of price in the Massdrop x HIFIMAN HE4XX: a pair of high-efficiency, open-back planar magnetics that don’t need a fancy amp to sound amazing. 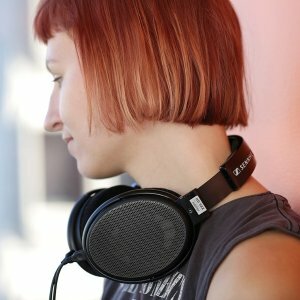 Listen to them directly from your smartphone, laptop, or desktop computer, or add a headphone amp to take them to the next level. The sound is smooth, engaging, and even across the frequency range, with airy, sparkly highs and the planar bass slam that HIFIMAN is known for. Massdrop offers the Samsung 82" Q6FN QLED Smart 4K UHD TV 2018 for $2499.99. 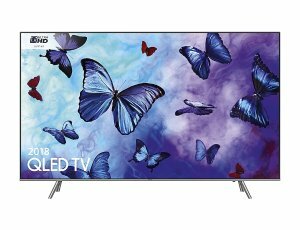 Features: Take your movies, shows, and content to a whole new level with the Samsung Q6FN QLED Smart 4K UHD TV. Boasting more than a billion colors and 100-percent color volume, the TV uses Quantum Dot technology to ensure every color is depicted with stunning accuracy. Q Contrast creates controlled zones of full-array LEDs that adjust automatically to reveal greater detail and depth. 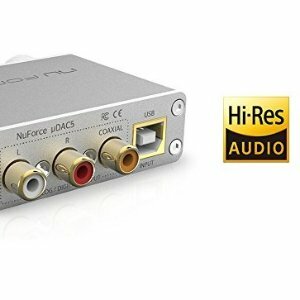 Massdrop offers the NuForce uDAC-5 DAC/Amp for $99.99. Features: The upgraded version of the popular uDAC-3, it offers twice the power and nearly twice the current reserves of its predecessor, and comes equipped with the ESS Sabre 9010 K2M DAC chip. Delivering clear, detailed sound with support for PCM up to 384 kHz, DSD 256, and DXD, it can be used as both a DAC and headphone amp—or exclusively as a DAC when you’re ready to make the switch to a larger, discrete amplifier. 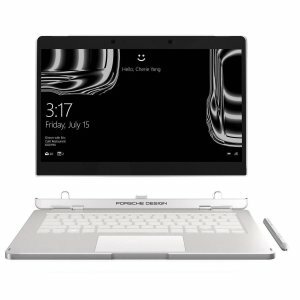 Massdrop offers the Porsche Design Book One Laptop (i7-7500u, 16GB, 512GB) for $999.99. Features: Designed to perform - The Porsche Design BOOK ONE is an uncompromising reinterpretation of the 2-in-1 concept. In one of the world's thinnest convertibles / detachables, maximum performance meets a breathtaking design. An optimized 360° functionality combined with the latest generation of technology. 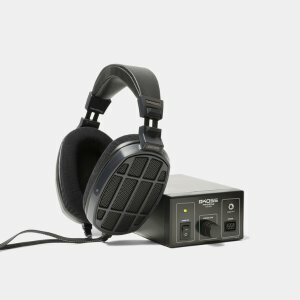 Massdrop offers the Massdrop x Koss ESP/95X Electrostatic System for $499.99. 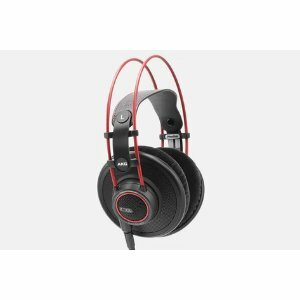 Features: A revival of the standard-setting ESP/950 released by Koss in 1990, these headphones bring electrostatic quality into a whole new price bracket. Initially designed for live recording, the ESP/950 came with a large carrying case and a battery pack to power the required energizer: a special amplifier for electrostatic drivers. Made for the modern audiophile’s listening purposes, this version skips the case and battery pack to save on weight, space, and cost. Features: A new revision of the popular all-rounder, the Massdrop x Sennheiser HD 6XX has that same great sound plus a few updates, and a price that makes it even easier to love. More than 30,000 members have picked it up to date. 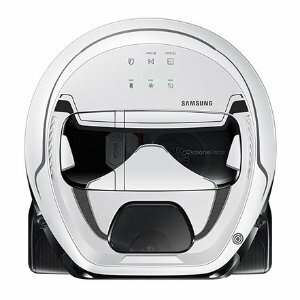 Massdrop offers the Samsung POWERbot Star Wars Robotic Vacuum from $299.99. Features: Let the Samsung POWERbot Star Wars Edition put The Force to work in your house.The POWERbot delivers powerful long lasting suction, and the ability to hear your favorite Star War’s responses to remote control commands. It navigates your home with ease and cleans every corner of your house. 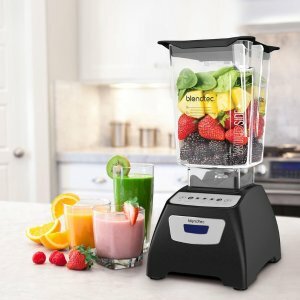 Massdrop offers the Blendtec Classic 570 Blender w/ Wildside Jar for $199.99. Features: Includes motorbase and jar; 1570 Watts 3horsepower + 8 year warranty. 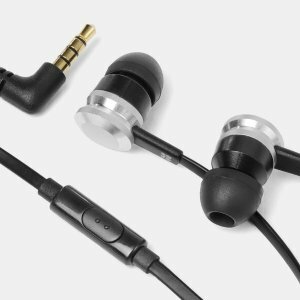 Massdrop offers the Massdrop x HIFIMAN Bolt In-Ear Monitors for $9.99. Features: You can’t go wrong with a great pair of $10 IEMs—especially when they look, sound, and fit like earphones several times their price. Enter the Massdrop x HIFIMAN Bolt: one of those small daily essentials you’ll always be glad to have around. Featuring a well-built aluminum housing with silicone ear tips and one 9-millimeter dynamic driver per side, they provide good noise isolation and a fun overall sound. 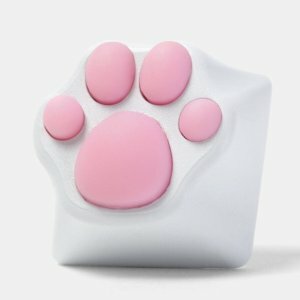 Massdrop offers the ZOMO Aluminum & Silicone Kitty Paw Artisan Keycap for $32.99. Features: If your cat at home won’t high five you, or won’t show you any affection at all (which is more than likely), these keycaps can make things a little better. CNC’d from aluminum in five different colors, they look like a cute little kitten’s paw. 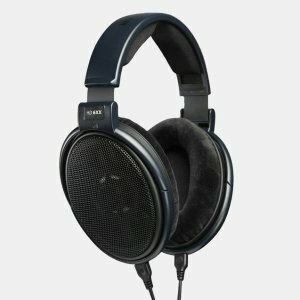 Massdrop offers the Massdrop x Sennheiser HD 58X Jubilee Headphones for $149.99. Features: The HD 58X Jubilee uses Sennheiser’s new 150-ohm drivers, which require less amplification than previous driver platforms while retaining the same magnet strength and driver size. The sound is clear, fast, dynamic, and lively: reminiscent in some ways of the HD 600 and in others of the HD 650. 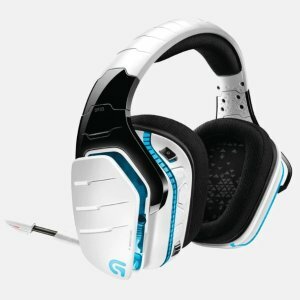 Massdrop offers the Logitech G933 Artemis Spectrum RGB Headset Refurbished for $79.99. Features: Logitech’s Artemis Spectrum RGB Gaming Headset delivers audiophile-quality 7.1 surround sound and total comfort to suit any gamer, whether competitive or casual. The 40-millimeter Pro-G drivers are made with new hybrid mesh materials for ultra-clear sound through the highs, mids, and lows.